Ricoh's long-awaited 24MP GR III is finally shipping, and we've been shooting with a production sample for a few days to see how it performs. The GR III is a major update to the APS-C GR series, offering a higher-resolution sensor, a redesigned 28mm equiv. lens, in-body image stabilization and a hybrid AF system, among other refinements. In the process, Ricoh has shaved off a few of the GR II's external controls and deleted the built-in flash. The GR II was always going to be a tough act to follow. Does the Mark III version deliver the goods? Take a look through our gallery to see for yourself. I don't know, the sample Gallery is full of high dynamic range scenes. Here it do not matter what camera you use, you always have to decide if you expose to the darker parts of the scene and let blown out the highlight, or vice versa. I hope that nobody think that's a problem of the camera and it's sensor...maybe newbies would do that, because they think the photographer did know what to do and therefore it must be the camera. But on a bad cloudy day, indoor to outdoor picture, no photographer can get out better pictures than and he can not change the weather at that day, so he have to do that. But because for some viewer such pictures could be misleading for to judge the camera, I would personally never post such pictures as example pictures. According to camerasize the body is almost exactly the same size as my A5100 without a lens. Given how small the kit lens is for the A5100 (and the available pancake primes) I'm not really seeing that great of a size advantage? Ricoh GR III is 0% (0.2 mm) narrower and 1% (0.9 mm) shorter than Sony A5100. 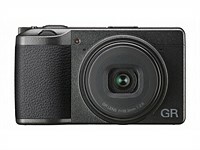 Ricoh GR III is 7% (2.5 mm) thinner than Sony A5100. Ricoh GR III [277 g] weights 2% (6 grams) less than Sony A5100 [283 g] (*inc. batteries and memory card). The Ricoh GR III is a complete camera that is pocketable. The Sony A5100 is a camera body that is pocketable but it is not a complete camera. It is useless without a lens, and if any Sony pancake prime is attached, it immediately becomes un-pocketable. Well, a couple of things. Sure, the a5100 body might be small - but it isn't trivial that when you add a lens it is no longer in the same size range as the gr. Also - the lens on the gr is faster than the kit lens and probably better than the kit lens at 18mm. But - I do agree that if pocketable isn't a necessity then the a5100 is a much more flexible camera. But if I am willing to take just a small additional size compromise, the a6400 is massively more capable than any of them. The Sony a6400 is very capable in terms of auto-focus ability but it may not be all that useful in street photography. It does not have snap focus. It also does not have IBIS. Whatever lens you attach to it will make the whole package much larger and heavier. Try to get a picture with the A5100 NOT with the full automatic (fool) mode. For me that is just a nightmare. For a photographer A5100 is worthless. Yes, it is really pocketable. Source: I have one in my pocket as I am typing this. 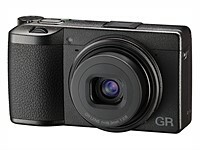 The GR III looks pretty pocketable to me, it's only like 2mm thicker than a Canon G9X (or my old Pana LF1, or a long line of similarly sized semi premium P&S)... Heck, it's more pocketable than a late model Sony RX100, it's wider/longer but 8mm thinner. That might not seem like much until you consider that's a whole phone's thickness. My GX850 (or the GM1 I've been meaning to sell) is far smaller than any of these but I still wouldn't consider it pocketable (in pants or a shirt) because the smallest pancakes are still like 1" thick, carrying a lens in a second pocket just seems very kludgey... Pocketable in a jacket or cargos tho? Sure. I think the whole "pocketable" thing is overblown. I honestly would never put anything larger than a small smart phone in my pocket. I would never walk around with one of these cameras in my pocket - it would send women and children running for the hills. Yes, provided you weren't wearing super tight jeans you could put this in the front pocket of your jeans. Now, most wouldn't because dust, pocket knives, keys, change, etc. Yes, you could still sit down with the camera in your front jeans pocket. No, it a case, it would not be pocketable. Only 135 comments in 24 hours worldwide? This may mean many things but I think one of them supports my thinking. You may find what my thinking is in Ricoh forum but for those who do not care I give you a one sentence summary. I think GR3 is a ****. The 4 letter word starts with f and ends with p.
You're going to have to be a bit more specific. There's 325 combinations that you can make with a 4 letter word with the first letter "f" and the last letter "p." That's not even counting double letters. Are we playing Wheel of Fortune? I think by now everyone knows that you do not own this camera, and you hate it, don't want to buy it, or... because of all stuffs that you heard. I am sure this is a really scientific way to make decisions, however, some people actually like to read real users' experience in regard of photography with this device to make decision. They are not as smart or articulated like you, but they exist. BTW the word is FLOP but I am sorry as an owner of a camera to tell you it is not. Autofocus is definitely slow compare to my RX100VI but definitely better than GRII, which I own, and XF10, which I bought it twice and returned twice because of the autofocus. Picture quality compare to the size is amazing and in my opinion pictures look sharper compare to GRII. Missing flash for me is a issue as I have young kid, and sometimes I cheat by using flash to freeze her movement! However, I knew this when I bought the camera. I did not notice the wobbly dial at all; as a long time user of point and shoot cameras I think all rotating wheel dials have this movement. I even checked my old Canon and after I did the stupid pencil poking test! it happened; Kudos to Ricoh to fix this for those who feel bad. I am sorry my few lines here are not as in-depth as your thoughts and experiences with this camera. I just thought I should add this to your useful insights. @Just A Learner, flop? Flop was the word he was censoring? Well that's a **** big ****. James, you realize that this is the internet. You don't have to censor everything. Especially a word as outrageous and horrible as "flop." FWIW, the words I censored are "very" and "deal." How outrageous of me to even think of saying such things! I may add this. All the digital cameras I have owned, I guess it is well over a dozen, have never shown wobbly d-pads. For example, the d-pad in my Canon Powershot S100 is in perfect order and works perfectly fine. Time will tell what this GR3 is but it has revealed not a single issue but various issues already. A soldier in a battlefield must be confident in his weapon. I may be a soldier who has lost confidence in his firearms and it happens soldiers reject government issued firearms. P.S. : I have a GR2 and I think GR2 is a better product than GR3 is. At a half the price as you may know. 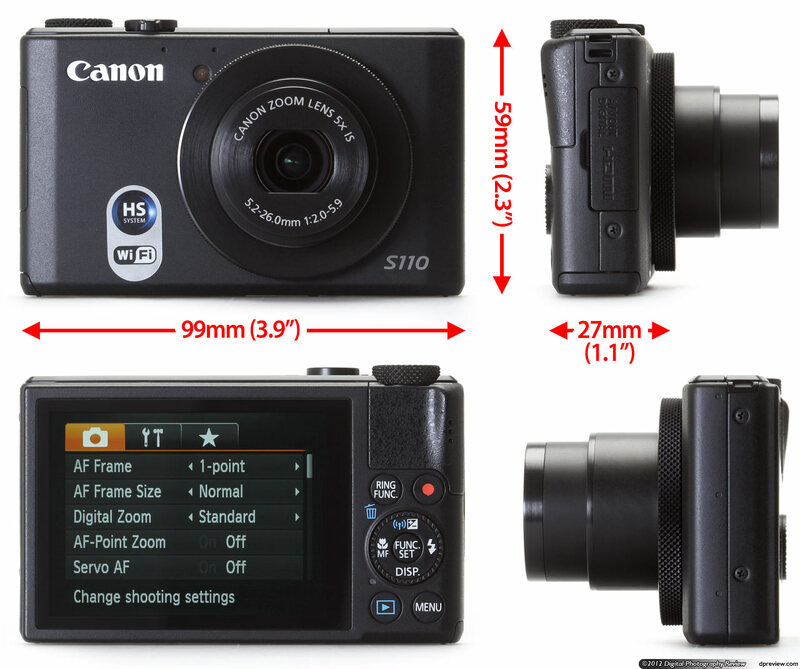 I correct Canon Powershot S100 to S110. BTW d-pad of S110 is very similar to that of GR3. It has a wheel in the perimeter of d-pad just like GR3 does. So it is an old design and Ricoh botched it. Unfortunately, I do not have S110, but I have a RX100II with wobbly dial, which I actually noticed after posts about GRIII. I definitely recommend if you can buy GRIII and return it, get that and try everything yourself. You may be right and shortcomings won't work for you, but believe me some of this videos and posts are far from what actual camera is. I agree with your comment on GRII; I think price and feature wise it is a better camera, and especially if one does not need low light advantage, high iso or heavy crop, they can stick with GRII. I can recommend GRII even over XF10, which was a camera that killed by almost not existent autofocus! No questions asked return policy does not apply in the country where I live. My knowledge is that the policy applies only in USA and certain countries in Europe. I totally understand. I used to live in places - almost everywhere except US I think!- that do not accept returns on electronic. I think it is a luxury to be able to use a camera for few days or may be two-three weeks and return if you did not like it. I almost buy all my cameras based on this fact. I wish there were more actual stores around that we can test product before we buy. How is it in Canada? I mean the policy. Very nice gallery! Really great captures. I agree that the gallery does not have award winning images. Whose expectation was that anyways? Very good set though. I like the series. Technically, colorwise very much in line with my taste. About the high price of GR III: I checked to compare the prices of some competitors like X100F or RX 100 III or IV or VA or Canon G7X M2. Did you? For what it offers (APS-C) GR III feels just right. If you have the guts to wait years you can get it cheaper. Otherwise go for the Leica Q! My expectation and also that of others. I expected better or at least more of the same since the publication of the March sample pictures. Between the March set and April set, they are a world apart. @pro photo 2011 are you joking? The photographs are taken by different photographers in different locations with different lighting. I hope you're not judging gear based on the skill of the photographer or the quality of the light when the samples were taken. I am certainly not joking. Photographers have vastly different skill levels. GR series always had great image quality and great optics, this one is way better then before cameras. Very useful camera too, I had 2 of them... Will buy this too. I missed the "way better" feature. When it comes to actual pictures how are these any better than the fantastic pictures we have seen from the GR2? Looks like my low-cost Nikon 1 J5 is still a better camera and deal for sure. I kind of like my j5 too and it may not be too far behind with 6,7-13 in good light, but the ricoh is way more pocketable than j5 with any lens while being much more comfortable to hold (GR II even much better) and the controls and handling is just another league compared to j5. If you put the small pancake lens on the J5 it is very small and the image quality is fantastic every bit as good if not better and then when you want you can change lens to a better zoom range. The J5 is harder to hold but cost less than half. believe me, it's not as good as apsc sensor in ricoh in resolution and dynamic range. The only pancake is 10mm, which is not the best lens and ricoh is still way more compact. My canon 5d costs is fifth the price, but that is not really the point. For me though the biggest difference is that the gr is a joy to use. Impressive sharpness at f2.8 - check #42 night shot of building site. No built in flash on a camera of this type is a courageous move indead. Agree they look cool. Based on your posts I picked up this camera. Thank you. You still have to learn a lot. totally agree. That is why I keep reading all comment and posts about this camera, and so far, your post and comments are the biggest help. Thank you again. Whether you think the IQ is good or bad, this camera is really not about that imo. It's an absolute street photography machine. I had a GR II, and it was pocketable, stealthy, quick, and quiet. And the snap focus is great. It's quite unique in that regard. That being said, if you aren't doing much or any street photography, not sure if this camera makes sense. For travel I'd rather have a 1-inch sensor camera with a zoom lens or even something like the G1X III which is similar in price now but comes with a zoom lens, EVF, articulating screen, etc. And if pocketability is not the main factor but rather just a certain degree of compactness, then you have tons of mirrorless options. And of course, these days there's always your phone as well. What is "stealthy" in today's streets? A camera in hands, versus the smartphone in hands? I think smartphone snapping is really the stealthiest possible imaging because everyone does it in the street! But, when one pulls out a camera – any camera – it almost looks suspicious. I have seen folks being stopped for having cameras in hand, but no one stops passers by when they snap with their smartphones. Everything has changed in the last decade. You can hold a GR low and point it, shooting from the hip. You can't do this with a smartphone really. It's got the camera grip and controls. The point is that the GR is so small that people don't notice that you're carrying a camera. It looks like a toy. "You can hold a GR low and point it, shooting from the hip. " Now you look really suspicious and if you are around my kids I'm calling the cops! Well in my opinion a lot more goes into it than just giving off the impression you are doing something else and "getting away" with taking a photo. Personally I'm not into the style of getting up in people's faces and taking photos and walking away, I like to get more of the scene in the photo and I never take an image where if someone was to see me and challenge it, I'd have a problem showing it to them and explaining what I do. The GR is something comfortable and light enough to keep on your wrist all day, and you can set it up where you can almost shoot blind with 1 click and you get a good image. I guess theoretically you could carry around your phone on your wrist all day, but then you also have to set it up, make sure it's back on the camera app after you checked your email, and then frame and shoot. The GR is a LOT quicker in operation, and that also helps stealthiness. My point is that you can hold a camera and shoot in many positions, high, low. Cell phones don't have camera grips so you can't hold them like cameras. I mentioned nothing about photographing children. But I guess if that's where your mind/society is at. 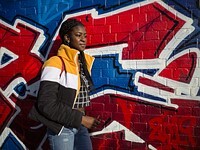 Photographing street scenes doesn't need to preclude any subject. Each time I see a picture "popping" abnormally into HDR territory (over-saturated with boosted shadows and yellowish WB), I take the easy guess that it has been tampered with... The Ricoh GR III versions were always truer to life, so better as far as I'M concerned. Geez... You have expensive peppers in Seattle! Where is the pop? Dull, dull, wishy washy. The 900-dollar pop! pow! bang! images... where are they? Someone said they didn't like the colors... I totally agree and it's not just the color. Seems different to me VS the II which feels like it had more punch.. didn't it? What image mode did DPReview select? Something about Ricoh colors just doesn't quite appeal to me. Wow, 900 bucks? Think I'll keep using my GRII. When the Ricoh GR 1 came out it was close to this price. That was years ago. You can’t have something for nothing. Having only one focal length is very limiting, especially for almost a grand. For the price I paid for the GR2, it's a neat camera. At the $1K mark, there are much better options than this, IMO. Also, we are no longer living in the digital camera heyday we used to. Sales are tanking and people are just using cell phones. That the focal length being one is limiting - that’s understandable for your need but you are not forced to buy this camera right? It’s important to be able to appreciate a well species product even when it’s not for you. When the GR1 came out there were not many compact alternatives . Fuji X70 and XF100 didn’t exist as well as many of compact ILC cameras with pancake lenses. So it’s not a good argument these days. Times have changed. $900 is too much for this camera, but I won't be buying one, so whatever. @Fox - The Fuji X70 is discontinued. Has a 16MP sensor. Not a bad camera, but just not quite the same thing. The X100F is more expensive. Of course has other features- point is, you get what you pay for depending on what you look for. Only the Ricoh GR gives you a completely pocketable 24 MP APS-C with optical stabilization and a superb lens. A great lens alone is often $$$. @xPhoenix- times have changed indeed and if anything, some prices are going up. $900 is not too much for a camera that sits unique. And of course you won't be buying one- and that's fine. You don't have to. And speaking for myself- I am not remotely suggesting you should either. Sales are tanking for all cameras, so let's see how this does. It'll be half price in no time. I think the issue here is lack of realization GR is not a mainstream camera but a street photographer all around camera. As such the pressure for a price drop is much less because those who have these market needs will go for it as it fulfills what they need. If the camera did not have a set of unique selling propositions it would be different but it does for this market. This is hardly a mainstream market product. I didn’t mention X100F , I was taking about XF100 which is half of the price of this Ricoh. GRIII has no optical stabilization it has only 3 axis sensor shift that can’t be turned off even. Looks like you don’t know your math. 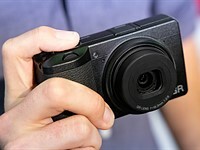 @Fox - the XF100 may be half the price of the Ricoh but doesn't fit in a pocket, doesn't have OIS. The GRIII is IBIS yes, but that's just semantics without a difference for what I was trying to say. And yes, you can turn it off (not sure where you got the idea you can't). You even have a setting to set the IBIS to OFF when you are doing a self timer - as an option (since it's common you would have the camera probably on a tripod). Not only it seems I know my match, but also what I am talking about. You are saddled with an antialias filter on the XF100, which takes out detail while you can simulate an AA filter with different strength settings on the Ricoh. Again, you don't have to buy this camera, it's not for you, and it's cool. But that doesn't mean that the GRiii doesn't have a unique selling proposition in its class. xPhoenix - if having just one focal length is so limiting, why did you buy a GR II - and why have you previously said how great it is...? I carry it along with my DSLR and big tele so I can take wide shots if needed. I think I paid $400-500 for it, and the lens is as sharp as can be. It's a good camera, and does what I need. Personally, I can't see paying nearly double the price for a few extra features. That's just me. If other people feel it's worth it, go for it. @xPhoenix- certainly, everybody sees value differently. AS I said, not for you and it's cool- no insults or anything. Just like for many the GRiii is just right at this price. Nice quality shots from this great little camera. Beautiful and lovely gallery for a tiny camera with big sensor. The lens seems very sharp and color rendering is there. It's similar to pentax colors. The samples published on March 11 were much better and much more representative of what the GR III can do. These are much too bland and boring. The GR is designed for street photography; there are so few pictures that have people in them. The second set of pictures mainly consisted of boring scenery that could have easily be taken with any camera. The Ricoh GR series is designed to be a street photography camera where the main subject is people. The March set has lots of people photos whereas the April set has very few. The March set had vibrant colors whereas the April set has dull colors. @dpreview - Can you please add black and white images to see how does that stack up. OOC BW jpeg. I'm not feeling this. Even accounting for the cold, flat Seattle daylight, the output seems listless and drab. Pixel peeping, the optical performance might generously be described as "generic". Satisfactory, sure, but unremarkable in a sea of good alternatives. Not at all listless and flat. Pretty good actually. Looking at these samples I don't understand your 'listless and drab' comment. If anything most images/color are pretty vibrant. Personally, I think I would tone down the saturation and even sharpness on some of these. Look more or less the same as what comes out of any standalone camera these days. Easy to adjust in-camera settings for more pop. I edited a couple in Google Photos and got very good results with just a few seconds of edits. Richard, there are three issues at least; the lens is vignetting heavily, the engine seems to resemble overcooking of Pentax KP, all in a camera without flash (flash helps saturate the sensor and counteract vignetting), all three are guaranteed to deliver weird results. With a better lens, better sensor saturation, and without much colour cooking, things _could_ improve. @Zvonomir The GR's selling point used to be the lens. They were so proud of it Ricoh even made a version in Leica mount. Kinda a shame the lens in the current model is really no more than average. How many shots were you able to get on this small Olympus battery? Were the dials wobbling? The lens off cantered? How was it focusing in low light ? Thanks! Going to get blasted I know but this is such a boring design. Ugly really I would love to see someone make a camera like the Q2 but affordable. oh and 35mm equivalent lens or maybe better yet interchangeable. Not boring if you actually take photographs rather than collecting high-ticket fetish objects. Yeah, pretty certain you're not getting the GR concept one little bit. Drabness is much of its allure. Not a GR you want! It has the best design ergonomically and is visually stealthy. Great optics, small size. Fab. I'm a designer (so I have the final say ;) and I love the GR design. No other camera comes close beauty wise. No, it is a nondescript camera. That really is the driving point behind its physical appearance. Your subjects, Joe & Jane Blow on the street, are not to notice you, thus ensuring they continue to do what they are doing without altering character because you're taking their picture. One could argue any camera will draw attention. But compared to a big ILC or the shiny bits and bold brand names typical on most cameras, the GR is quite plain. It even looks a lot like a camera from the early '00's, again reinforcing the impression that it is No Big Deal. It can be nondescript and attractive. Truly sophisticated design is like that. Lassiter as a designer needs to study up. Perhaps a few more high ISO raws above 6400? Could even set the camera to shoot at 1/3 of an ISO stop, so 10000, and 160000. Jpg colors.. Af was terrible.. build quality plain bad to my understanding..
To be fair ois was nice. Size is great. I tried it, and the AF was excellent. Now true, I didn't try tracking AF. Build quality seems very good. And I've handed 3. So I have to think you got a bad copy. @CaPi It might be helpful if you provide the type of camera you are used to using along side of your statement. This way people can determine if your opinions are relevant for them. Yep, what gravis92 said would be great! Thanks. I was looking for a replacement for my X-100T. I use it with the wide angle adapter (28mm eqiv) and would love more res, quicker AF and IBIS. That might explain my comments on build quality and JPG. Yes, I reviewed the samples provided here on DPR prior to the purchase. With RAW color rendition is of course less relevant - yet for quick sharing I find it is. I found AF to be flaky in CF and some in SF using a single focus point: Sadly enough. Felt to be much quicker in Full auto AF but that'S not for me. I did love the form factor. Startup time was good enough, battery life better than expected. @Raw: Bad copy might have been the case. There was a slight rattle to be heard when shaking the switched off unit. Thanks for the details @CaPi. I've heard about this rattle and it seems to be originated by the IBIS mechanism. It looks like a normal characteristic of the camera. The slight "rattle" will be the IBIS sensor floating around when the power's off. Pentax owners are familiar with this. I don't use JPG shooting. Agree that the AF is terrible. I'm shooting with snap focus like 90% of the time, though. I still notice the blue tint on some shots, is there a way to correct WB (temp, tint) in-camera? If so, is the correction recorded in Raw? I usually shoot Raw but it's nice to have decent JPGs as well. I checked out the online user manual, and you can correct WB in camera. I didn't see anything about WB offset though... just adjustments after the picture is taken. The previous GR's could bias auto WB any way you like. Don't know about the III but I doubt they removed the feature. With every new release of sample photos by this or that camera model, I have to chuckle as the line of responses can differ so drastically - everything from "hey, they look great to me, " to "just not worth the money." Fact is that most (if not all) of the cameras released today are capable of superb IQ levels. All that's left to bicker about are how colors are rendered (subjective) and of course the addition or omission of certain camera options (again, subjective). But the bickering will never end - it's part of a forum's DNA. Personally, I can see getting this GR III as I've never had any Ricoh products before - other than a 35 MM camera back when I was in Vietnam in the late 60's. I do like the colors on this GR III - but I'm just not comfortable paying $900 USD for this camera - and then to add the accessories available for this camera, could bring that cost over $1500 - for a fixed 28 MM lens model? In the meantime, I'm enjoying the likes of the Fuji X-A5 and X-T100. To be honest, all the modern cameras galleries look roughly the same, only the fans (want to) see them differently. There's nothing in this gallery a m43 can't handle. Personally, as a Fuji S5 owner, the blown skies add a disappointing note (the highlight recovery in the motorbike picture seems a bad joke compared to the venerable 12 years old Fuji). Yep. Not unlike IMDB reviews. Pick a movie, any movie, and you will find reviews praising or panning the acting, direction, plot, etc. Believe it or not, someone out there thinks _Event Horizon_ is an example of fine acting, while someone else thinks the acting in _Naked_ is a stinker. Just goes to show that nothing pleases everyone, not movies nor cameras. That's what I think about highlights! The skies looks like made by smartphone! Even color rendering can easily be adjusted in camera, so cross that one off too. Down to just options. I've already taken a few 1000 pictures with this camera and gotten 384 of them from one battery, so I'm happy. I'm in love with this camera. I am not someone who likes vivid or saturated color but the colors here look a little cold and depressing. They should be a little "sideways" IMO (WB issue? - the skies seem off). I assume this is the standard color profile. I have the original GR1 which has some drawbacks like dust getting into the lens, lask of image stabilisation which is useful in run&gun type of street photography, lack of Wifi for download and a more muted jpeg colour output. The GR3 addressed most of these shortcomings but I am diappointed with the lack of a built-in flash and they are also not providing a small external flash like the LX100 Mk2. This make fill -in flash almost impossible as compatable small flash are not easily available. Otherwise, it is a good p&s camera to have. No flash - no cash. No Canon 5D / Nikon D850 for you then. That's right. I'll just stick with the D800, with flash. 2019 called... the ISO and IBIS is there. Anyway, streetphotography with flash is, ahem, very strange. I've shot thousands of pix with my GR II. Never used the flash once (and I don't think it works with the lens hood on). This is not the camera you choose for fill-flash portraits if you have other options. What you use it for is candid street photography and always-with-you photography. What also doesn't change, but for much longer, is people finding strange things that they don't do, understand or know. Nothing new. No Canon 5D / Nikon D850 for me indeed, but if I had them - I'd have space for flashguns the size of a shoe in the bag, while I wouldn't have space for a flash even the size of a cigarette pack in my pocket - because the Ricoh would already be there. you know, we have enough DR now to lift shadows in PP, no need for flash anymore. I'm curious; if I was actually going to put one of my GRs in my pocket, wouldn't I have to worry about the thin metal blades that cover the lens? That alone would keep me from doing it, assuming I had a pocket large enough. I do know. In my world, I'd ratheradjust shadows on a picture that has had its shadows filled in with a flash to begin with :-) Take a pic of your family with a sunset behind them, and all the DR in the world will laugh in your face. Or a backlit beach picture, or anything like it. A pocket camera has to have built-in flash. Technology and progress can be and are a nice addition to that, not a replacement. I never worried with my Coolpix A, as long as it's alone in my pocket with nothing to bump against, or in a sleeve. "No Canon 5D / Nikon D850 for you then." Different tools with different feature set. The GR is meant to be used as a walk every where one camera kit, thus, missing the flash for fill-in seems poorly conceived. I had a GRII hoping the APS-C would yield better images than my Sony RX100V. It didn't due to the slower lens hence higher ISO. Canon discovered the exact same thing with their GX1 III which I tried also the RX100V was still better. To not have a flash on a pocketable always with you camera ruins this camera. 40% of my pictures with my RX100 are at a dinner table in a restaurant at parties events or where fill flash is required. I used it almost every day to remind me of something or document something on our large building projects and buildings we maintain and flash is an absolute must. The only time I use this as a regular camera is some travel or minor car shows or when I flat don't feel like taking my RX1R or a6500 or A7rIII/A9. It is a point and shoot not a serious camera. Its too bad it is a simple little camera and the size is right but Ricoh shot themselves in the foot removing the flash and with the higher price. The GRII had a nice little niche if the lens was faster. @goblin: I get what you're saying. For me, this has happened less and less but I imagine you don't always get to choose the perfect shooting conditions. @terryreid: hmm... I have the GR and must say its old sensor tech is not that superior to RX100 V when it comes to ISO. And GR doesn't have stabilization, while the RX100 does. Still I wouldn't say that GR is not producing better images, IMO they're sharper on the GR. Also this new GR III has both a new sensor and IBIS, so exposure-wise it should be better. I used to have G7x II and now have G1x III, and I'm also sometimes thinking the slow lens is a handicap. Then I took it to a concert and noticed that although my ISO were a lot higher with the G1x III, colors and lights would be better. With previous cameras I always kind of struggled with those color spots, red, purple, blue, I would lose all details. So it's a compromise. It would seem there are photographers who have become accustomed to the look of flash fill and others who take the light as it comes. Chalk me up in the no fill flash category. I just don't use the built in flash on ANY of my cameras. Fill flash often has an unnatural look to it, even when done well. Besides, there are other ways to illuminate a foreground on a backlit situation; bounced light off a light colored wall, etc. Call it an aesthetic choice if you like. I do use off camera flash in the studio, but that's an entirely different use case. Y'all missing the point that fill-in flash down the lens axis basically makes your photos look like ****. It's worse than useless. Yup, a bleached all hands on deck shadow lifted face looks way better. Like that's the only other possible outcome lol. I have hundreds if not thousands of pics taken with the Sony RX100 family with flash in restaurants that came out very well and I would not have been able to have very many keepers without the flash. They are not for submittal to my portfolios but captured wonderful moments and look darn good. Sorry to bust your bubble but when it is too dark to rescue the moment was wasted. @Richard Murday - when the only possible outcome of fill-in flash "down the lens axis" (I have yet to see an on-board flash on one of those pocket cameras that's in the lens axis and not deported to one of the sides, but hey, what do I know :) ) is ****, the only possible outcome of no fill-in flash Is bleached shadow lifted faces. Start with absolutes, you'll end with absolutes. @terryreid: we all different notions of what's acceptable and not, but if I need to use the flash in a restaurant, I might as well take the picture with my smartphone. I know that the light sometimes is not so good, at home I also have to increase ISO a lot, but I'd say f2.8 is enough on most sensor sizes nowadays. Of course I have a pretty high threshold for noise and don't shoot with the safe 1/125s shutter speed. Nightsight on my pixel phone eats your absolutes for breakfast. The day they call it "Bright sunset/sunrise in the background" - we'll talk. Might still be a monologue on your side, but it won't be tech related. Nice samples. Sharp lens and good JPEG performance. I think you're right that a flip-screen would be an asset; so would a pop-up viewfinder. I bought a Voigtlander external viewfinder which works well. The Sigma viewfinder is suprisingly good and extremely small which makes a good fit on the GR or Coolpix A.
flippy screen actually would make sense. But not for selfies....for waist level street shooting. When you bring the camera to your eye you draw attention to yourself. Sometimes this can be good as it causes eye contact, but not always. Yes, effective street photography requires the ability to shoot without bringing the camera up to eye-level in my experience. I'm on the market for a compact travel camera. This or a Fuji X-A5 with the 18mm f/2 lens? The GRiii will be much more pocketable than the Fuji. I'd probably go for a Sony A6x00 with a pancake lens myself, but if pocketability and a large sensor is your main concern, what else is out there but the GR family? Fuji XF10 - AF is not good but almost everything else is. Nice images, but I dont see aything special compared to the lets say Fuji x70 which has even a tilting screen and better battery life... Yes the GR is smaller, but really how much smaller? You will still need pants with large pockets to fit any of the cameras. Much better lens than the Fuji X70. Users who just want Instagram or Blog pictures might as well use a phone. The Ricoh GR range produces much higher quality for larger display purposes. No need to pixel peep; it's an easy to see colour thing. if you're posting to instagram, I guess a smartphone would be enough... I've never had the X70, although I'm shooting with Fuji for 4 years now and a compact camera with Fuji jpegs and UI is probably great. The GR does have a very sharp lens and you can change lots of settings a way I haven't even with Fuji. For instance you can adjust the amount of noise reduction depending on ISO, or define which exposure parameter should have priority when using P mode. The GR is easily pants pocketable unless you wear tight skinny jeans. It's pretty much identical in size to my Olympus TG-5, which easily goes into my front pocket, as long as I don't have something else in there too. Why no tilting screen Ricoh? It’s 2019! Avoids something else to break, an especial concern with smaller cameras, there not being much of body to collapse the screen into. Also makes the camera less expensive. You do understand the concept behind a GR, right? Or perhaps you'd also like a collapsable super zoom and a popup flash as well? The II has a flash and many will miss it. Well, there is a hotshoe. I know, I know, it's inconvenient to have to attach a flash, even something really small and pocketable like the 201FG. But then again, a flash isn't subtle no matter how you use it. I'm guessing Ricoh felt the ISO performance and DR obviated the need for a flash, thus allowing the camera to forego that feature and further reinforce its nondescript appearance. The biggest commission to me - an EVF. Hi, Thank you for the friendly response. The problem is dark is dark. I can't imagine the III's ISO performance makes a flash not needed. Posted in a friendly way but my point is some of us do use and will miss the flash that the previous model had. Do you understand that the GRIII is much better high ISO lowlight camera than than GR I+I? Every GR since 1996 had built-in flash. It was part of the GR concept. Undoubtedly there are situations where a flash will improve an image. Even situations where it's a must need. Every camera has its compromises. Every shooter is different and will have a unique list of must have and not critical features. Clearly Ricoh decided the flash was not a central feature for the GR. Personally, I agree. I'm the sort of shooter who rarely uses a flash outside the studio. Rarely as in virtually never. If I don't have the light, I move or wait until the light is there. Not saying your desire for a flash is unwarranted, just trying to point out what I believe is Ricoh's rationale for leaving it off. If you need a flash, the GR II isn't going anywhere yet. It is still being produced, and still being sold new, for a lower price. In 1996, realistically the highest ASA colour film one could shoot in that GR was 400. Leaving out the flash means there's less to drain the small battery. And that small battery allows for a big sensor and a powerful processor/RAM setup. Everything is a trade off. Sometimes a flash is needed and the built in was handy. I can't imagine the III's ISO performance makes a flash not needed. Dark is dark. I don't believe Ricoh is providing a pop on flash but I could be wrong. Other brands do. I would use a built-in flash mainly for fill-flash especially on sunny days. High ISO capability isn't much help in that situation. . . I'm a fan of the pop-up strobes on DSLRs because it often does the trick, so no need to carry a separate flash unless I plan on doing a lot of shooting where flash is needed. @HowAboutRaw:Leaving out the flash means there's less to drain the small battery. Makes no sense. It's not as if there isn't room in your pocket for a spare battery. The sensor and processor take up no more room than in the previous GR. No sale. I hope this isn't the last GR and that the GR IV brings back the flash in a few years, but by then I probably won't even care, I'll just use a phone cam. Ricoh/Pentax have one foot in the grave anyway. Have you compared the circuit boards side by side? And more space inside allows for better heat dispersion, which helps a great deal shooting high ISO. I like these much better than the original shots. Much more variety than just urban street scenes. OOC JPGs look nice as well, I assume those are all the standard profile? Very nice images. I really appreciated seeing the OOC jpegs vs the converted and adjusted files. Shows what the image files can deliver with a little attention. Cheers! The RAW conversions don't look much different or better than the SOOC jpegs IMHO. Nice sample photos Barney! I am liking the colors on the GRIII.